Medium is a vibrant network of thinkers who care about the world and making it better. Connect to your Medium account to track new publications, write stories and more. To use this integration, you will need a Medium account. If you are not a user yet, sign up for a new account. 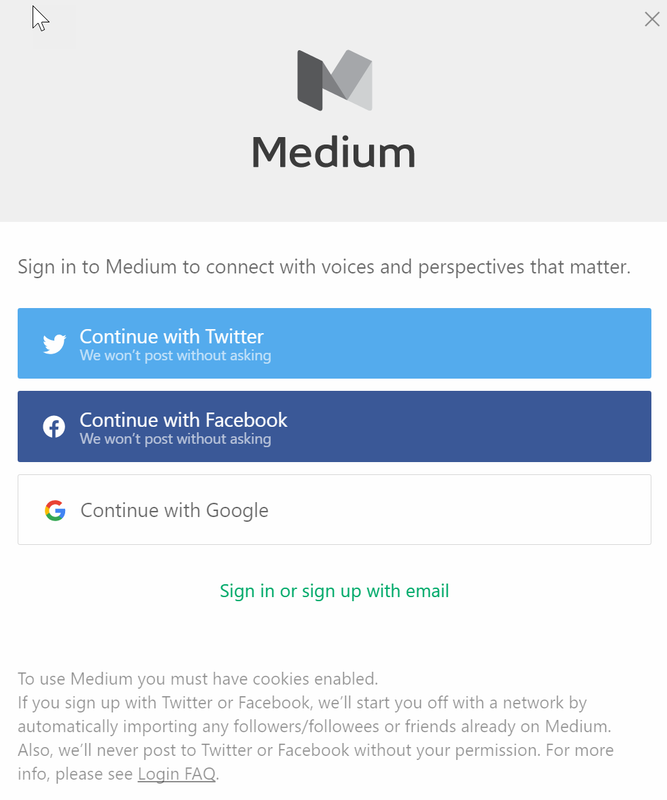 When trying to make a connection, you will be prompted to authenticate against your Medium account. You can do this using your Twitter, Facebook or Google accounts. Alternately, use your email to sign in. Once verified, you will need to authorize Microsoft to access your Medium profile. Click on Okay to continue. The author id of the story. The URL to the story in Medium. The canonical URL to the story in Medium. The publish status of the story, such as Draft or Public. The license associated with the story. The license URL associated with the story. An array of tags on the story. Write a story under a publication. The id of the author of the story. The description of the publication. The id of the publication. The image URL for the publication. The name of the publication. The URL to the publication in Medium.